“I’ve never felt this good,” Logan Owen said on Friday. The second-ranked junior cyclo-cross rider in the world, Owen should have bolted down the start straight at the Cyclo-cross World Championships on Saturday in the company of Mathieu Van Der Poel, the reigning junior world champion. 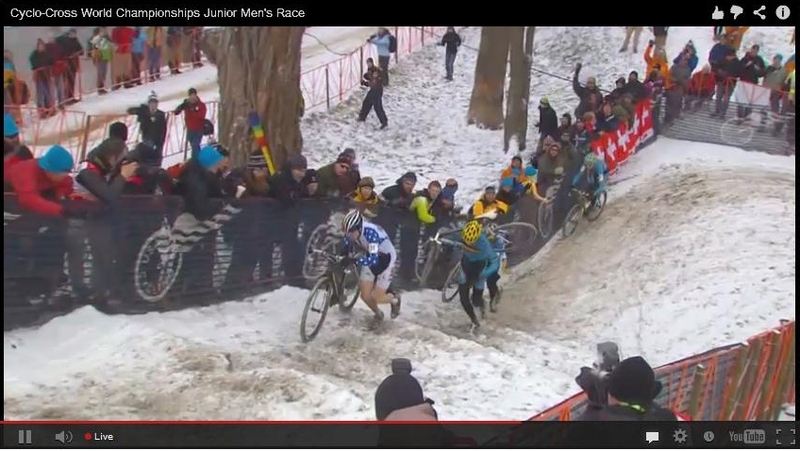 But when the leaders in the junior competition swept around the first turn and onto frozen ground at World Cyclo-cross Championships on Saturday in Louisville, the first and maybe only time the event visits American soil, Owen was not among them. Something must have gone horribly wrong. With live video camera placement quite a distance from the start line, to on-line spectators the front row of riders resembled a set of colorful, out-of-focus rectangles balancing on narrow black wings. But the view was clear enough to see one of those rectangles lurch forward a split-second before the “go” signal. Owen had jumped the gun. And in the short moment that he reversed his false-forward, the field surged ahead. Owen fought his way to the front over the forty minute race and nearly seized a bronze medal. But when the finish line came all too soon after a chain problem, Owen crossed the line in fourth place. It wasn’t the finish he had imagined. “I wish I had a redo. It could go so much better,” Owen said after the race. 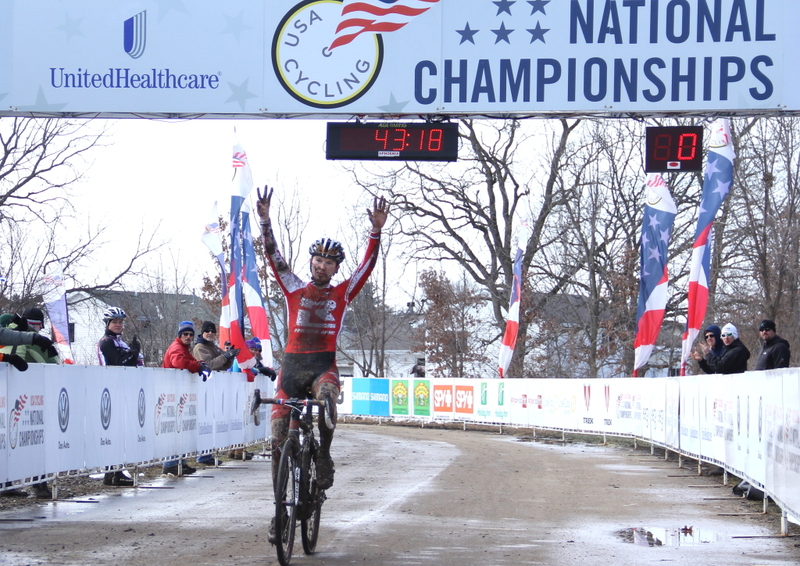 Owen has finessed the perfect start to a cyclocross race more times than he can count. Is that the number of times he will redo Saturday’s start in his head, imagining how it would have looked gone right? On Sunday, a course that should have been buzzing with excitement was vacant. That day’s elite races had been rescheduled to Saturday due to expected flooding, and photos posted on social media on Sunday showed a course under water. If that course had remained dry enough early Sunday morning, when church bells rang, a lone rider might have appeared at the start line, ready to begin again.